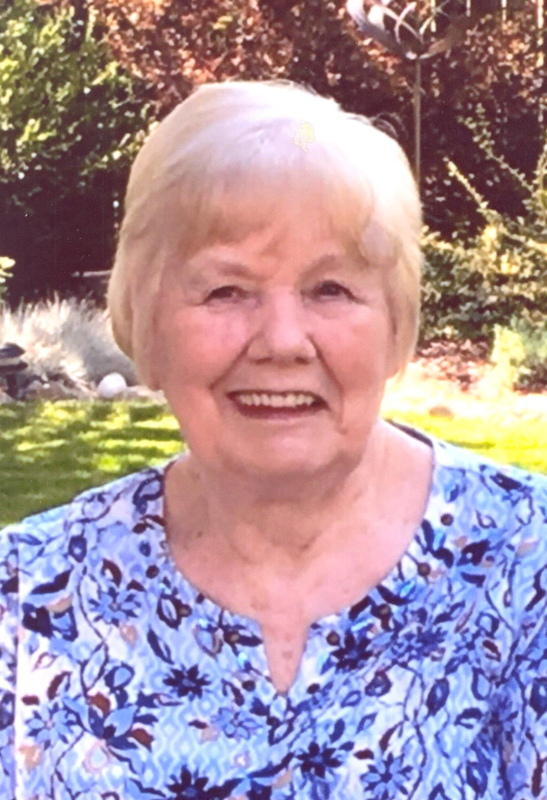 On Wednesday, Aug. 23, our mother, Mildred Geraldine Taylor Smith Berard, age 78, left this earthly life to join her loved ones on the other side of the veil. She was a beloved sister, mother and grandmother to many. At the time of her death she was surrounded by loved ones as she crossed the veil. Gerrie was born on a warm summer morning on Aug. 24, 1938, in Salt Lake City, Utah, to Ariel and Mildred Taylor. She was the second of five children. Her father affectionately called her “Susie” though the rest of the world called her “Gerrie.” Gerrie attended Olympus High School in Salt Lake City, Utah. There she met the love of her life, David Woodruff Smith. They married in the Salt Lake LDS temple on Jan. 20, 1956. Together they started their little family while building their first home in Union, Utah. Mom was a stay-at-home mother to their three small children. David and Gerrie were active members of The Church of Jesus Christ of Latter-day Saints. She held many church callings and served the Lord well, though her most cherished calling was mother. In 1964, David and Gerrie moved their young family to Death Valley, California, where they assumed the responsibilities of managing the town of Death Valley Junction. Her parents and a couple siblings followed them in this adventure. Though the work was hard and tiresome, the family grew strong and built bonds that would last an eternity. After relocating to Washington, Utah, David and Gerrie decided it was time to add to their family and adopted a son, Benjamin, in 1974, from India, and then another son, Jeremy, in 1977, from Honduras. She loved the gospel of Jesus Christ and always strived to live a Christ-centered life. She has always remained faithful in her religious beliefs. She was preceded in death by her parents and her son, Benjamin Smith. She is survived by her children: Joseph (Eileen) Smith, Mary (Glenn) Galer, Laura (David) Reeves and Jeremy (Shelly) Smith; 15 grandchildren; and 25 great-grandchildren. She is also survived by her brothers: Robert (Deanna) Taylor, Ray (Carolyn) Taylor and Dave (Pat) Taylor; sister, Julie (Ardell) Talbot; and many nieces and nephews. Funeral services to honor Gerrie’s life will be held Monday, Aug. 28, at 10:30 a.m. in the Metcalf Mortuary Chapel, 288 W. St. George Blvd., St. George. A visitation will be held prior to services from 9:30-10:15 a.m. at the mortuary. Interment will be in Tonaquint Cemetery.